Main Street will be closed to traffic from Paul Bunyon Drive (bd’s Mongolian Grill and Rojo) south to Potomac Road and then west toward Novi Road from 6 a.m. Friday, Aug. 10 to 11 a.m. Sunday, Aug. 12. Mainstreet Village residents can access their homes via Constitution (off Grand River Ave.) or Trans X Road (off Novi Road). 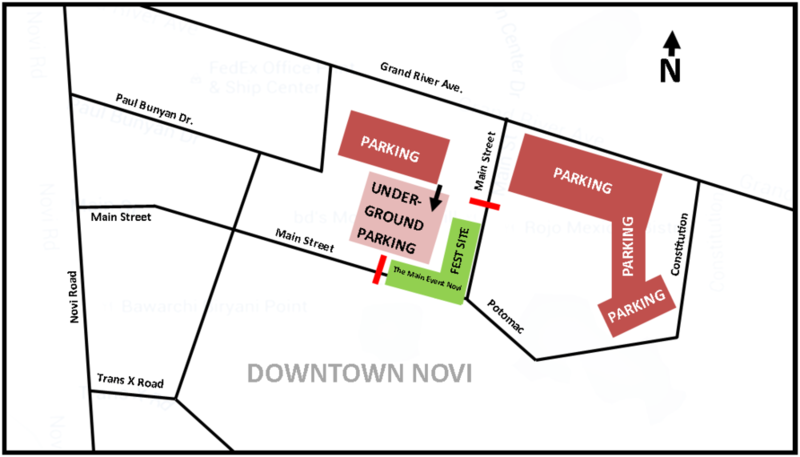 Parking is free, and there are several lots throughout downtown.